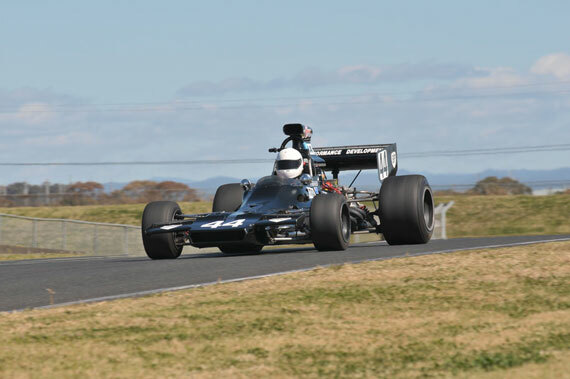 A field of 17 thundering Formula 5000 race cars is set to break the sound barrier at the Shannons Tasman Revival race meeting on 23-25 November 2012 at Sydney Motorsport Park. The crowd-thrilling 5-litre V8-engined machines will relive the 1970-1975 years of the original Tasman Series. When the Series commenced in 1964 eligible cars were based on Formula One type chassis using dedicated racing engines restricted to a capacity of 2.5 litres. The later V8 formula introduced production sourced engines which delivered greater horsepower of around 550bhp and produced roaring sounds which drew fans to the fences. One of the pioneers of F5000 racing in Australia was Frank Matich who won the 1971 Australian Grand Prix in a car of his own design and manufacture. Matich will be in attendance as Patron of the race meeting and is looking forward to watching Aaron Lewis compete in his Matich A50, a sister car to the Grand Prix winner. Making his first appearance in a F5000 will be Tom Tweedie in the ex-Team VDS Chevron B24, a car formerly raced by Lewis. Tweedie has raced with success in Formula Ford and Formula 3, and has also sampled Porsche Cup and V8 Supercars. One of a number of cars coming from New Zealand is the Stan Redmond’s Lola T333 CS, once driven by Warwick Brown who is the only Australian to have won the Tasman Series (in 1975). Brown is among the 20 legendary drivers of the Tasman era who will be in attendance at the race meeting and take part in a drivers’ parade. Returning from the USA where he is now based is expatriate Australian Bruce Leeson with his McLaren M10B. When these cars first raced Leeson was an accomplished photographer; he now provides the action on track rather than capturing the images. Other major contenders include Andrew Robson’s Lola T332, Bill Hemmings’ Elfin MR8 and, from New Zealand, Dave Abbott’s Lola T430 and Alan Dunkley’s Lola T140. 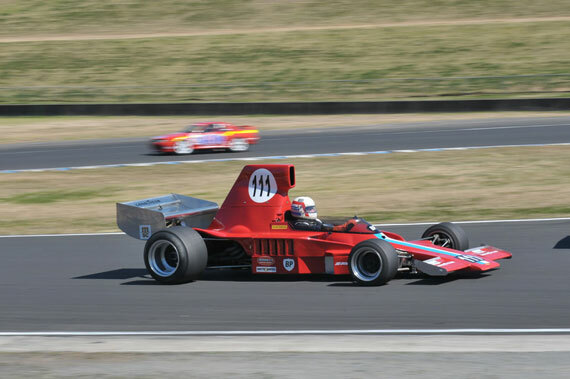 On display at the meeting will be the first Formula 5000 driven by dual Australian Champion Kevin Bartlett. The unique Mildren Chevrolet has just been restored and will be on show in the Memorabilia Marquee. Another ex-Bartlett car competing at the meeting will be Col Haste’s Brabham BT2 twin-cam. Powered by a 1.5 litre engine, the car was driven in the original Tasman Series by David Walker who later went overseas to drive in Formula One for Team Lotus. The well used car contested five Australian Grands Prix between 1964 and 1971. The Tasman Revival meeting is hosted by the Historic Sports and Racing Car Association of NSW and the Australian Racing Drivers Club. More information can be found at www.tasmanrevival.com and you can join in on the discussion at www.facebook.com/hsrca. This entry was posted on Thursday, November 15th, 2012 at 11:42 pm	and is filed under Tasman Revival and tagged with 2012, Single Seaters, Sydney Motorsport Park. You can follow any responses to this entry through the RSS 2.0 feed.